When I decided to get my Open Water scuba diving certification I wanted to do it right. I could have enrolled and completed an Open Water certification in a couple of weekends at any local dive shop and been done with it. Diving is a recreational activity where death is a definite possibility. That being said, I wanted get trained by the best.I figured if I’m going to risk my life, I’d better take as much risk out of the equation. Trying to remember what you learned in a weekend when you’re 100 feet underwater, didn’t seem like a realistically safe scenario. I heard about Underwater Adventure Seekers(UAS) from a friend that lived in DC. 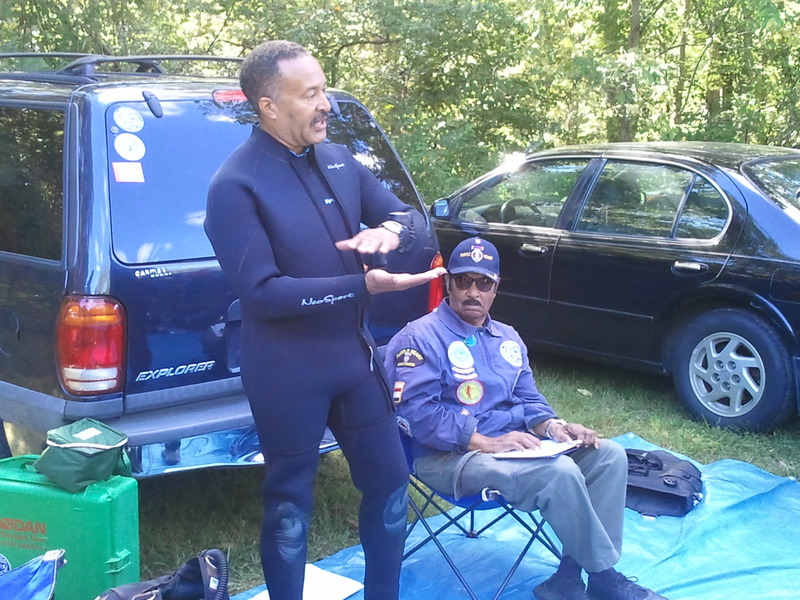 UAS is a Washington, DC based dive club, founded on February 25th 1959 by Dr. Albert Jose’ Jones “Doc”. 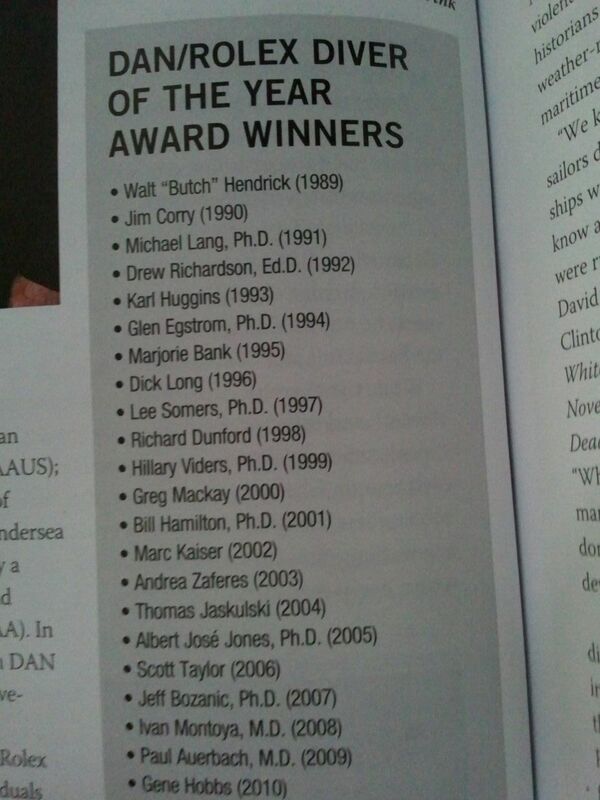 55 years running for any organization, they must be doing something right. In 1959, diving clubs in the area were reluctant to admit and train potential black divers, so “Doc” founded UAS. UAS is one of the first clubs in the US to certify all of its divers under the PADI system. When I started the certification it was supposed to be a few months long, but that year, my class was about 7 months long. It was worth it. They taught me everything from swimming, to fins and snorkel, to diving. Our classes were at any one of the public pools in DC. When I attended class everyone was helpful and enjoyed sharing their wisdom. There was this guy teaching that everyone revered and paid deep respect. He was always watching, and they affectionately called him “Doc” . He wasn’t arrogant or full of himself, he was real cool. I always appreciate old wisdom, but “Doc” was so cool and humble, you didn’t have to endure long pontificating stories about himself. His stories had me wide eyed and laughing hysterically sometimes. I found that I could sit there and listen to his stories for days. Then one of our instructors, Jay Haigler, mentioned him as if he was a diving god. We all laughed but then Jay or Sylvester Smith (Sly) stated, “regular people know about Jacques Cousteau, divers know about Dr. Jones (Doc)”. I thought to myself, who is this teacher that I’ve been talking to for the past 2 months? I had to look this old dude up. I mean he’s been teaching me for the past 2 months and I have no idea who he is. He NEVER bragged about what he’s done or where he’s been so I had to rush home to google “Doc”. I did a search and pulled up the following excerpt from legends of diving website. That’s right I said legend. Doc back…been there done that. 1991 under his leadership, has formed over fifty dive clubs in the United States and around the world, many of them are modeled after UAS. NABS members and/or clubs can be found in Africa, Australia, the Bahamas, the Caribbean, Central and South America, Fiji, Hawaii and the Maldives Islands as well as the continental United States. NABS has already brought hundreds of people to recreational diving and the association is destined to introduce tens of thousands of more people to recreational diving. Dr. Jones and NABS have been recognized in forty publications including the Washington Post, New York Times and the National Geographic, by NBC, BET, CNN, The History Channel and many local television stations. 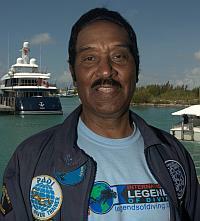 Dr. Jones was inducted into the Washington, DC Hall of Fame in April 2008, and he was the recipient of the highly DAN/Rolex International Diver of the Year Award for 2005. He was also selected as Sport Diver Magazine “Diver of the Year” in 2008 and selected as Beneath the Sea, Diver of the Year, 2009. Doc showing us how it’s done. Another way that Dr. Jones fulfills this commitment is by visiting schools and colleges to speak with students about careers in oceanography and environmental sciences and about the sport of diving. He easily identifies with the students whose eyes light up as their curiosity and excitement remind him of himself, when he was a junior high school student, listening to a guest speaker talk about oceanography. 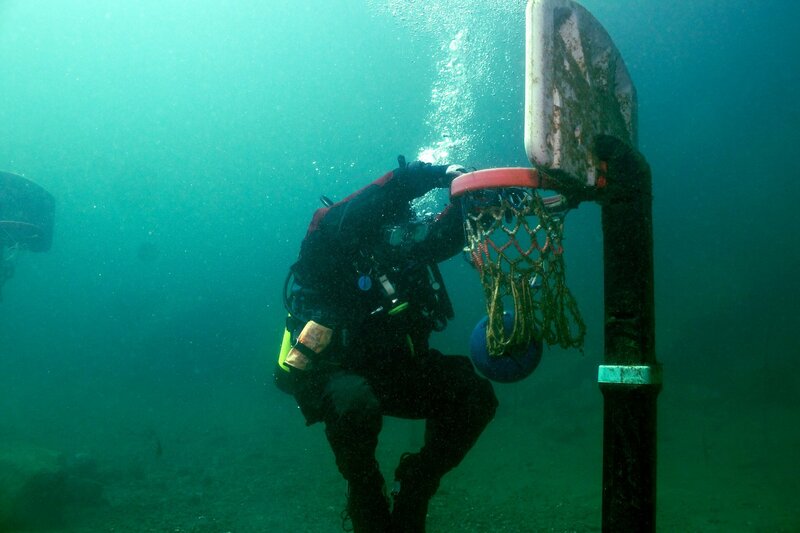 The young Jose Jones decided that he too would become a Marine Scientist and explore the oceans. Dr. Jones, a seventh degree black belt in TaeKwon Do, also applies his standards for excellence and volunteerism to the marital arts. For thirty-eight years, he has trained thousands of adults and children in the Washington, DC area free of charge. His commitment to a high standard for training can be seen in the confidence and tournament record of his students. The Wheel Kickers TaeKwon Do club was featured in Ripley’s Believe It Or Not as “The Winningest Martial Arts School in America.” It is not unusual for his students to be accomplished in both the martial arts and scuba diving. Doc is one of the few icons of my life that I will cherish. This leadership profile connects to me at a deeper level, it’s personal. This blog can only scratch the surface of the impact of Dr. Jones. Not only on my life but many many other individuals. I will forever appreciate his exemplary mentorship and depth of character. Later this week I will be in Mozambique, South Africa diving in the Mozambican channel. I want to put my new nitrox certification to good use. This trip is a dream come true, without UAS, Dr. Albert Jose Jones, Sly, Jay, Alex, Ernie, JB, and all the other instructors at UAS the trip might not be possible. 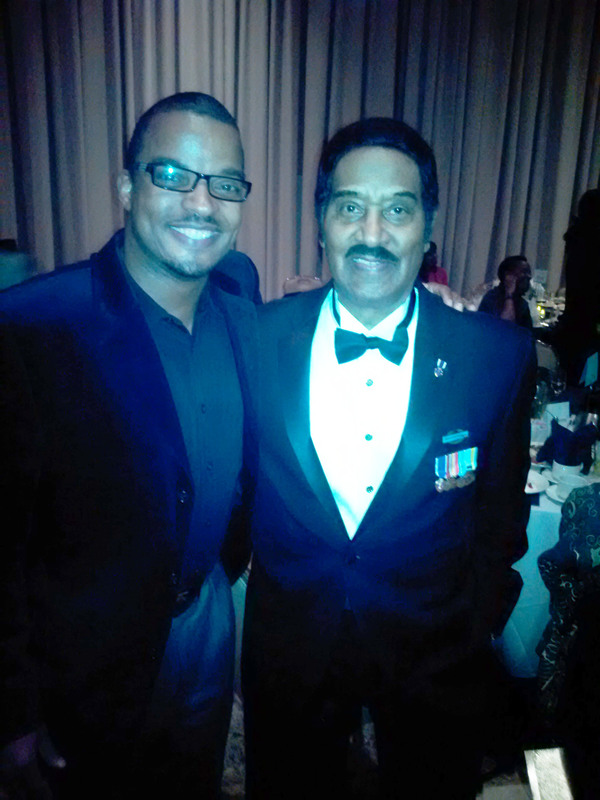 Dr. Albert Jose Jones is a leader beyond measure, an amazing individual that has impacted so many lives. It has been my pleasure to write this blog and be a witness to his example.